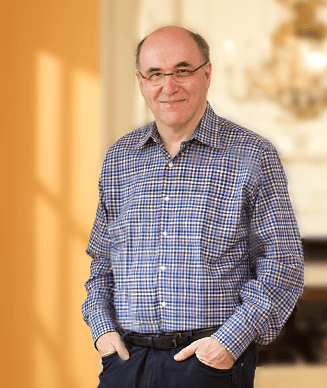 Stephen Wolfram, CEO of Wolfram Research and chief designer of the Wolfram Language, reflects on the evolving role of computational literacy and AI in education. As technology advances, so must the ways in which we are taught to interact with it. And these new skills should be taught in schools, says computer scientist and physicist Stephen Wolfram, chief designer of Mathematica, the Wolfram Alpha answer engine, and the Wolfram Language. “At any moment in history there is certain amount of knowledge that is worth teaching ... and there is another part of knowledge that should be automated,” says Wolfram. Many skills that used to be taught — writing with quill pens or using typewriters, for instance — are not anymore, because these skills have been "submerged" by technology. "I think the question is, what makes sense to teach now, and how to fit it in?" he says. One thing that definitely has a place in schools, says Wolfram, is computational thinking or computational literacy — the way in which one formulates thoughts to communicate to a computer in order to get that computer to help you reach a desired result. This "dialogue with a machine," which involves critical thinking and communication skills, is something that can easily be incorporated into existing classwork, similar to the way many different academic subjects incorporate written essays. And an effort really needs to be made to do just that, says Wolfram. “Computational thinking should be something that you routinely use as part of any subject you study,” he says. In this edition of the Harvard EdCast, Wolfram, in Cambridge last fall to take part in an Askwith Forum with Professor Howard Gardner, reflects on the evolving role of computational literacy and artificial intelligence in education.